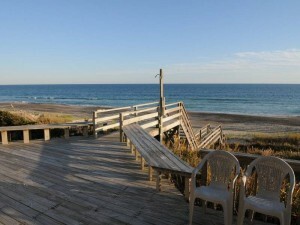 Simplicity meets ocean side at this week’s featured property, Dolphin Run. 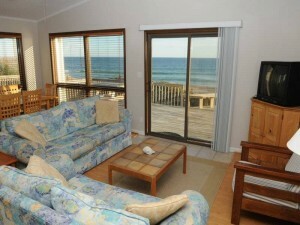 Sitting off the coast, this cottage has stunning views of the Atlantic, while offering the comforts of home. The layout of the property is spacious as there are two separate living areas, and includes 5 bedrooms (3 queens, 4 singles, 1 queen size sleeper sofa) and 4 baths, this property has enough space to accommodate without feeling crowded. 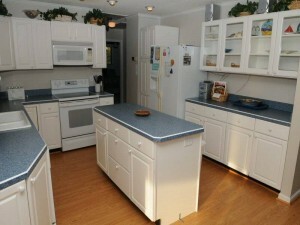 There is also a wet bar that is just begging to be put to use. The kitchen is also adequately sized and includes a center island for additional counter space to prepare your favorite meals. And did we forget to mention that gorgeous panoramic views can be found throughout the property. 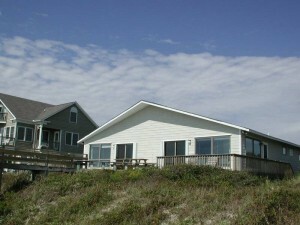 Outside, feast your eyes on the large and spacious deck complete with picnic table and furniture to lounge and take in the views, plus, and best of all, the beach is just steps away. This will definitely be a favorite spot to relax and catch one of our famous sunsets! Dolphin Run is located conveniently off Emerald Drive, close to area amenities such as stores, restaurants and activities for you and your family. Especially close to this property is the Bogue Inlet Fishing Pier, perfect for trying your hand at some of the areas catches and a great place to take your kids for their first fishing experience. 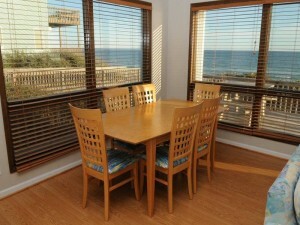 Check rates and availability for this oceanfront cottage and view additional property photos of Dolphin Run.